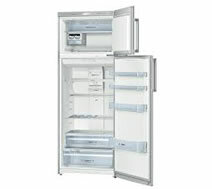 Our staff at Oakville Appliance Repair are expert Bosch freezer repair technicians. We offer 24/7 same-day emergency service for home and business owners in the Oakville area, call us to schedule an appointment. Bosch Bottom freezer fridges come as built-in or freestanding models and include a variety of excellent and convenient features including the option for an ice maker and water dispenser. Our professional staff are Bosch freezer repair experts, call us now to book an appointment! 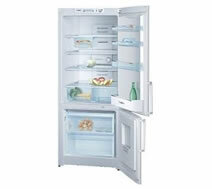 Bosch Top freezer fridges are designed with the same care as their other lines however since the newer bottom freezer refrigerators are becoming more and more popular top freezer refrigerators may soon be no longer available. Call our Bosch freezer repair specialists to book an appointment today!